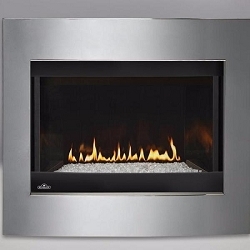 The Vail 26 Special Edition is the American-made fireplace system that includes the Flint Hill log set with 10,000 Btu vent-free Contour burner, matte black hood, frame and louvers – even glowing embers. 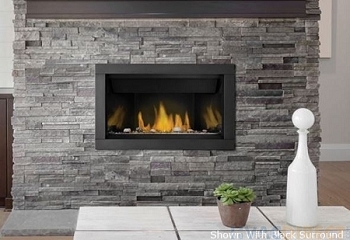 The Vail 26 Millivolt models feature a standing pilot that you light at the beginning of each heating season. Millivolt systems require no electric or battery backup. The systems work with any of our remote control accessories. Shown with optional mantel (not included). 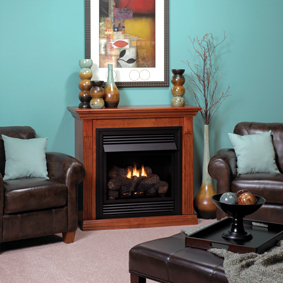 Click on theaccessories tabto view optional mantels and accessories for this model.